So a little while ago, I put out a tweet that I was desperately trying to resist splurging and buying this little beauty, but things happened, it was NYE and I was online shopping with a glass of Rose in hand, and here we are. My greatly-loved Mary-Lou Manizer highlighter by The Balm had hit pan so long ago, and I had been using the very last bits of it for some time. 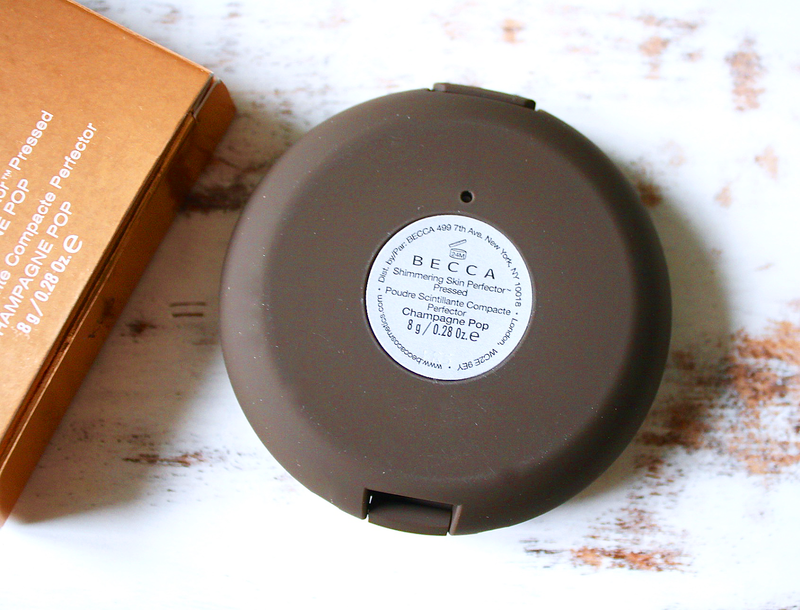 I have seen lots of bloggers raving about the Becca Shimmering Skin Perfector (I'm now abbreviating this to SSP as it's pretty wordy) and I also saw it featured in many videos and blog posts by Alix of I Covet Thee. I'm naturally very pale-skinned and so I went for 'Champagne Pop', having seen this colour worn on Alix in her videos. I also decided to go for the pressed formula as I prefer my highlighters in a powder form and find them far easier to gently sweep across my face. My past highlighters have really varied in tone. The Topshop highlighter in 'Sunbeam' was my very first and favourite highlighter for so long and it was a real yellow-toned shade, which I didn't notice at the time until I went on to test out different highlighters afterwards. I then switched to Topshop's Glow highlighter in 'Polish', a very silvery/pearlescent shade, which I didn't get along with quite as well due to it's creamy formula. I also found that it would almost erase my makeup the more I worked the polish into my skin beneath my eyebrows and at the tops of my cheekbones. Next up on my list was the Mary-Lou Manizer highlighter by The Balm which has been my all-time favourite to this day. I think that this was incredibly flattering on my skin both when I hadn't tanned and even with a coat of my St Moriz fake-tanner. The Mary-Lou Manizer is a very shimmery pale pink, almost beige-tone, which also isn't too glittery upon application. 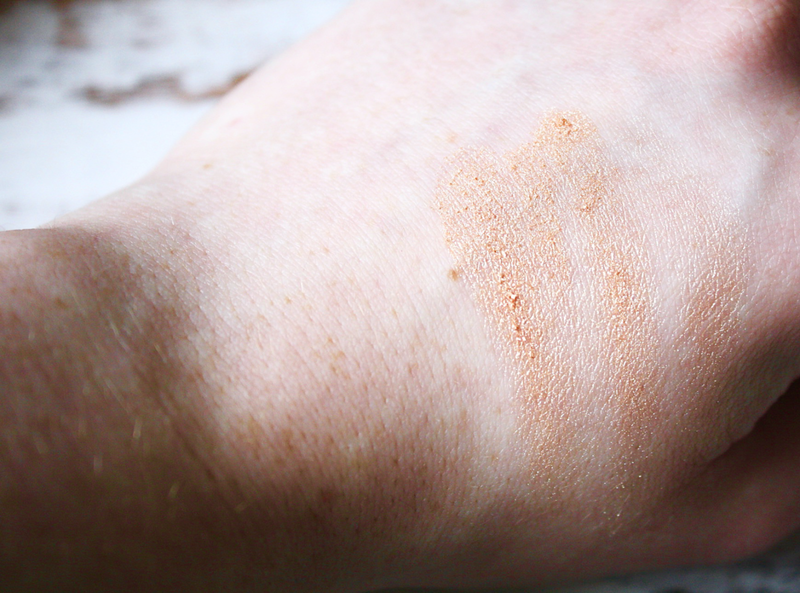 Now, onto the Becca SSP: my first impression of the colour when in palette was that it was a fairly muted tan/peachy colour, which admittedly I wasn't expecting. I did think that it would be a slightly more pale tone, having seen it on many YouTuber's with a pale complexion like my own. I'm also now starting to think that perhaps I would have been better-suited opting for 'Moonstone' instead, but I would only have really been able to tell if I had seen the product in the store first before ordering online. 'Moonstone' is a white-toned highlighter which I also think better-suits the description of 'Champagne'. The powder itself is very finely-milled but a little really does a long way. It's best to apply a gentle sweeping of the product as any more than this might be a little too heavy for your look. Having applied fake tan over night last night, I actually think that the highlighter will be more suited to my skin throughout this week; on application, I found 'Champagne Pop' to be quite yellow-toned, similar to the Topshop highlighter in 'Sunbeam' but the consistency of the powder was a lot more fine than the Topshop option. 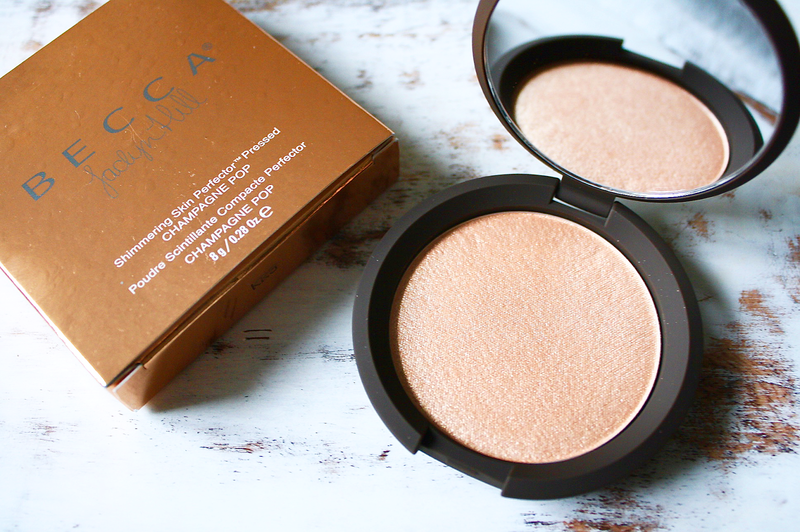 Have you tried the Becca SSP? Which colour did you choose? I've heard so much about Champagne Pop and so many raving reviews, i'm going to also checkout moonstone after reading this. The powder looks so pretty! I think it might be a little too bronze for me but it looks beautiful! Heard so much about this one !